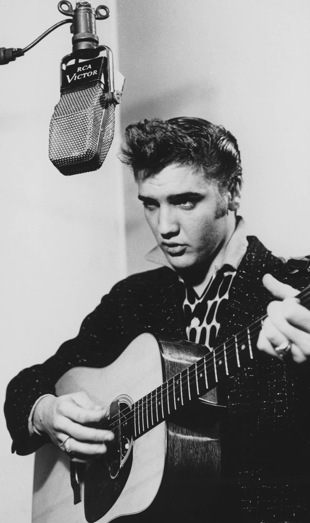 While history’s spotlight more often focuses on Elvis Presley’s “from-the-waist-up” appearance on The Ed Sullivan Show in 1956, it was an event earlier that year that elevated him to national prominence. His pelvic thrusts and phallic imagery while performing “Hound Dog” on The Milton Berle Show on June 5, 1956, prompted a flurry of condemnation from journalists. 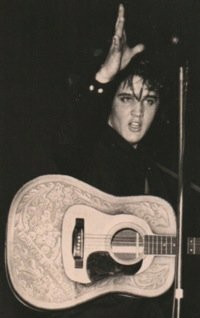 While most critics emphasized the vulgarity of Elvis’s movements, his performance also sparked a discussion of his vocal ability and the type of the music he was singing. While the New York City press was united in its denunciation of Presley and their desire to see him run out of the music business, they accomplished just the opposite. They made Elvis a national celebrity overnight. 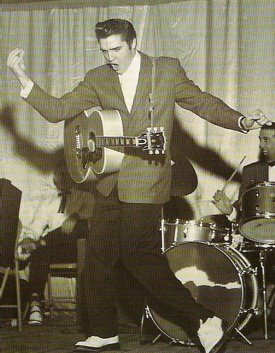 Certainly, Presley’s popularity had been on rise, but in early June 1956 he was far from the superstar he would become. When he appeared on the Berle show, “Heartbreak Hotel” had been his only hit record. His second RCA single, “I Want You, I Need You, I Love You,” had only been released the week before. His debut LP was a big seller, but his second album wouldn’t come out until four months later. It would be even longer before his first movie appeared in theaters. At the end of his article, Joe declined to draw any conclusions from what he heard during his tour of Long Beach’s record outlets. 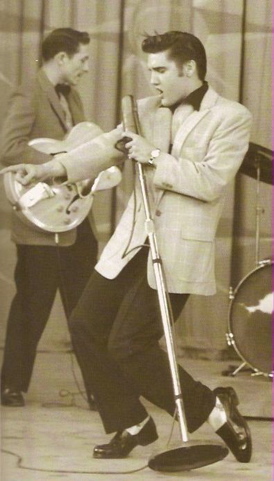 However, keeping in mind that Joe’s research was very limited in scope and location, a few revelations about Elvis Presley’s ability to sell records in June 1956 jump out from the comments of those record vendors. First, at that point in time, teenagers were buying a mixture of “sweet music” and rock ’n’ roll. The latter style had not yet taken over the charts, radio play lists, and record sales. The recent railing against Elvis by the New York journalists would hasten the assent of rock ’n’ roll through the rest of 1956. Second, the revelation that girls as young as 9 and 10 were buying Elvis records in Long Beach in mid-1956 fits with what we now know—Elvis’s main demographic group then was primarily young girls. He was more popular in junior high schools than in high schools. 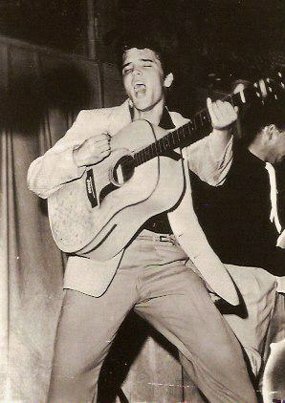 Older teenage girls, especially those of college age, had already formed their tastes in music before Elvis came along. Finally, the fact that most record sellers didn’t mention Elvis until Joe asked specifically about him indicates that, while Presley’s records were selling well, they were not yet dominating the market in June 1956. 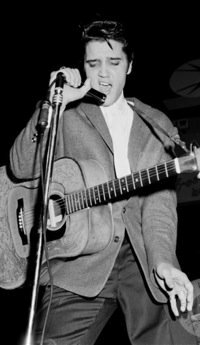 As one of the Long Beach record sellers noted, at that time Elvis was still considered a “Western” singer by many in the business. "This is a strange thing—there is a demand for him from all races and places, no matter where the juke boxes are—teen-age hangouts, cocktail bars, quiet restaurants. Everyone listens to him."